~similar applications for Ledum include: itching feet and ankles that become much worse for scratching or heat; red pimples on the forehead and cheeks; rashes with red spots; and various discolorations. Ledum is also great for relieving the pain and allergic reaction from a tick or spider bite as well as quickening the healing of puncture wounds. 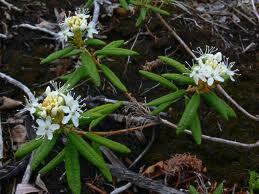 Ledum can protect against tetanus with puncture wounds if given immediately. This article is from here. The article is titled Family Homeopathy. I have included this article about Lyme’s disease and Ledum because of how quickly Lyme’s disease is spreading. It seems like it is becoming more and more common. It is important to have holistic options when getting a tick bite or being diagnosed with Lyme’s disease. It is an awful condition for the immune system. It can negatively affect all aspects of health: mental, emotional, and physical. “I am a holistic veterinarian in Connecticut and have treated several hundred cases of Lyme disease in the past five years. After trying various homeopathic preparations, with only limited success, I found that Ledum in a 1M potency is about as close as you can get in a specific cure. I have used it in dogs, cats, and horses, and it does not seem to matter whether it is a recent infection, a year old, treated or untreated — they all respond curatively. I have not had a single case that did not improve. You can read the rest of this interesting article here. If you live in areas where there are lots of spiders or ticks, this may be a great remedy to keep in your first aid kit. I have used it often on the boys with great success. Read over the Top 5 First Aid Remedies to have on hand. Don’t leave home without them. With all the outdoor play we do on the farm, first aid preparation is a necessity.